‘Looking at life in a different way’. This is the vision of husband and wife duo Scott and Sarah Rohdich and their best friends David Boyd and Sam Verlaan. Together they are changing the views of first homebuyers, retirees and savvy investors around the country who are choosing to live life a little more simply, smartly and most importantly – sustainably. 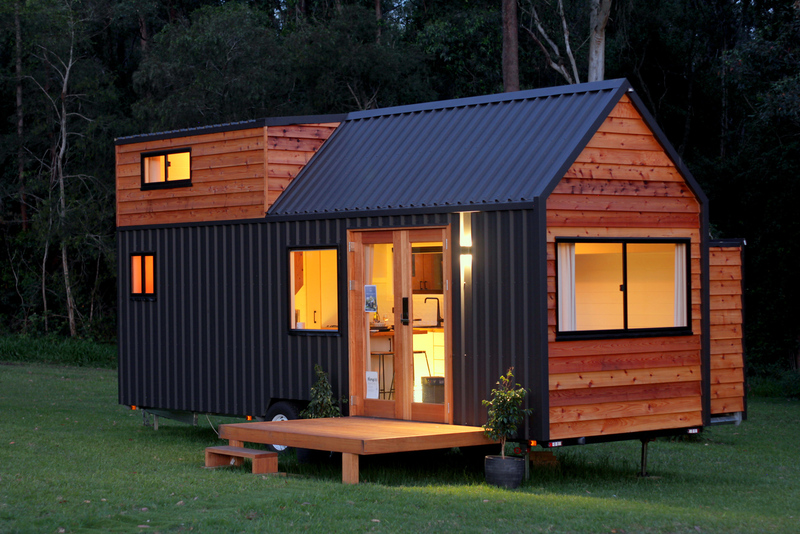 It’s been five years since Sarah and Scott Rohdich were inspired to launch Häuslein Tiny House Co. The word ‘Häuslein’ is German for ‘little cottage’ – a reference to their heritage and love of fine German quality finishes. While many would cringe at the thought of life in a confined space with a toddler, for the Rohdich family, it was an adventure. “We spent most of our time in the great outdoors or getting in the garden to run off energy,” says Sarah. After their life-changing tiny house experience down South, Sarah and Scott decided to relocate back to Port Macquarie, where they’d met and married, in pursuit of their new venture. According to Sarah, there’s a Häuslein Tiny House to suit just about anyone. It seems this different perspective has made quite an impression on the local community with the pair overwhelmed by the support they’ve received. “We had around 300 people turn up to our first open day to see our display and many more since then. 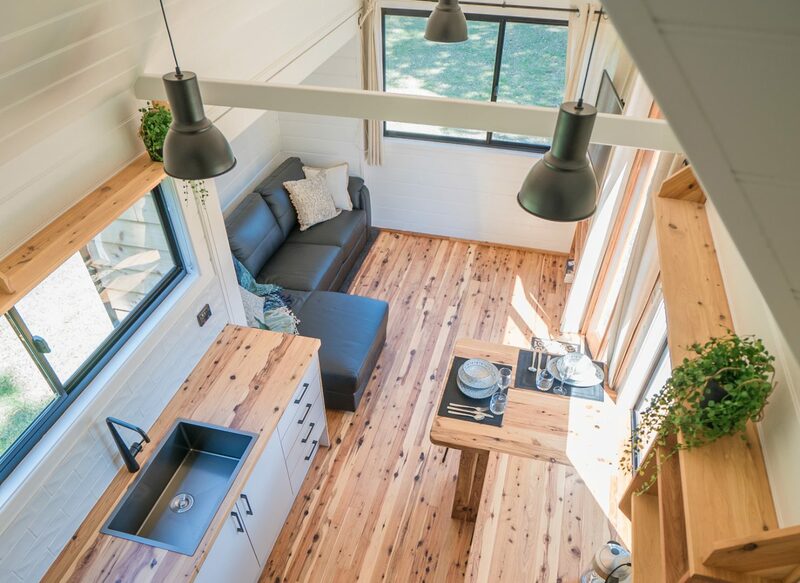 Lots of people were already interested in the tiny home movement and were therefore very excited to have a local company that would be able to build them a high-quality tiny house,” Sarah says. 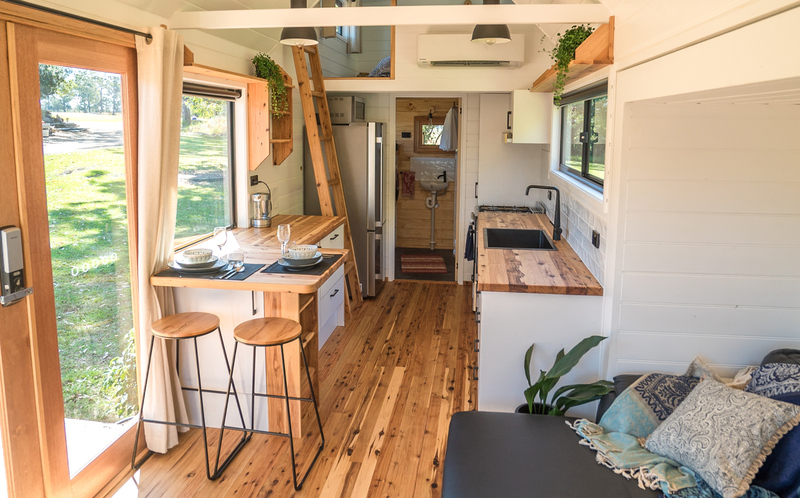 Taking between two to four months to build, there are three models of the tiny house to choose from; the Little Sojourner, the Sojourner and the Grand Sojourner. The next step up, The Sojourner, features a pitched roof and has one bedroom, one bathroom and is slightly bigger in size. The largest home, The Grand Sojourner, features three bedrooms, one bathroom and, at 32 square metres in size, could fit the whole family. Plus, all homes are capable of going completely off grid with solar and battery powered systems, a composting toilet, water collection system and eco-friendly drainage systems. 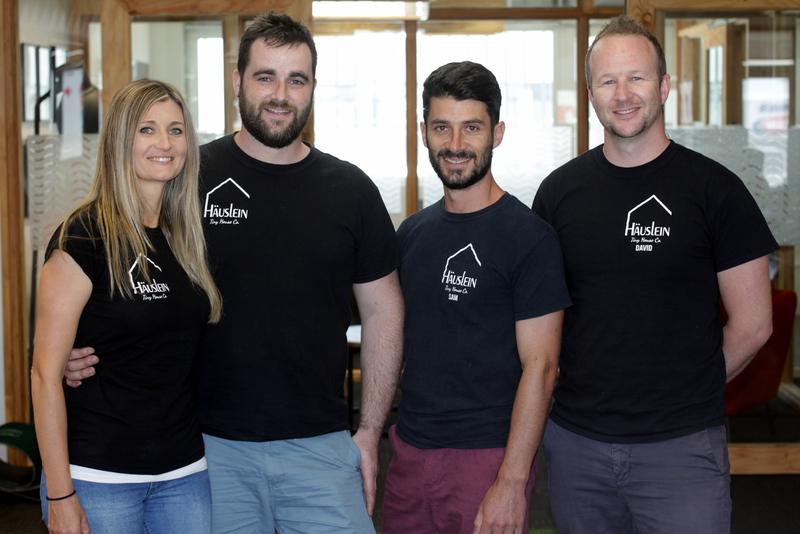 For the team behind Häuslein Tiny Houses, it’s all about creating a lifestyle that gives people the time to appreciate the little things – a life without the financial pressures of a mortgage. 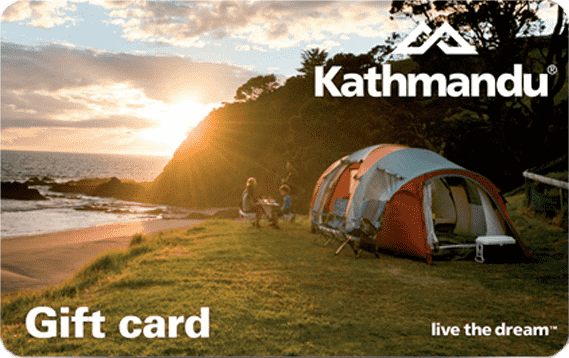 “We believe reducing debt and living life more simply can be part of the solution for a more wholesome lifestyle that many of us long for,” says Sarah. Sounds good to me. I wonder how much a deposit is?